Open House Details: Rodrock Homes stunning Larsen EX on large beautiful home site in Ridgestone Meadows final phase.This home has it all! Study,formal dining room, hearth room and great room on the main level.The curved staircase will be the focal point when you enter this beautiful home.Hardwoods on main floor, kitchen to die for with large center island and walk in pantry.Master retreat with sitting room and fireplace.All bedrooms are suites! Large laundry craft room on main level but no worries there is a laundry shoot! 21115 W 68th Street (MLS #2084920) is a traditional single family home located in Shawnee, KS. 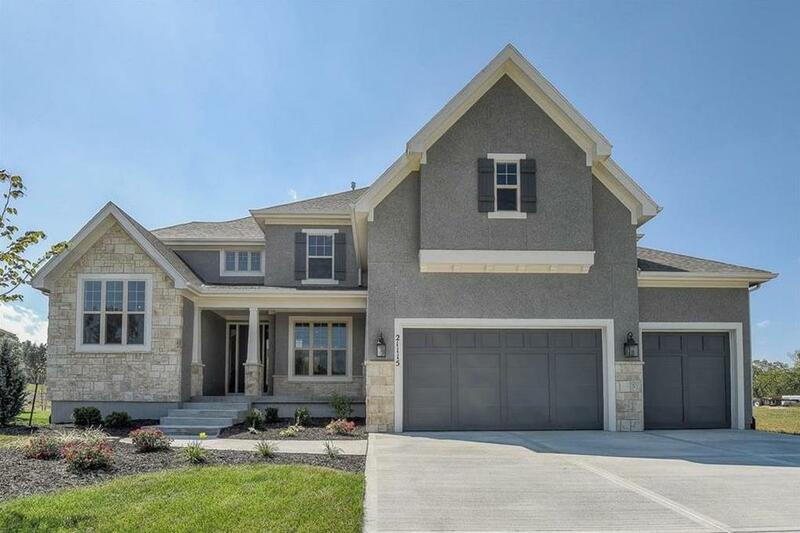 This single family home is 3,619 sqft with 4 bedrooms and 4.5 baths. This property was listed on 01/05/2018 and has been priced for sale at $600,000.